I had a great time today teaching a Gyokko-ryu Kosshijutsu seminar, everyone was focused and trained hard! Budo Ryu Kai Hombu Dojo in Kansas City! “It is easy to kill someone with a slash of a sword. 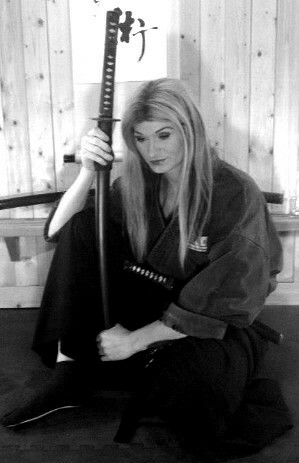 Shinobi no Michi (忍び道) or what is known as the “Way of the Ninja” is a book written by Soke Anshu Christa Jacobson, headmistress of the Budo Ryu Dojo and 21st Soke of the Tomo Ryu tradition. Shinobi no Michi Volume One is the largest book ever written on authentic ninjutsu and traditional samurai bujutsu in the English language and is the first volume of a an epic three volume book series! Shinobi no Michi; Volume One is a must have for anyone that is interested in authentic historical ninjutsu and traditional samurai bujutsu! Budo Ryu Daikomyousai 2011. We had sucha great time at the Budo Ryu Daikomyousai, and we are looking forward to many more years teaching the authentic arts of the Shinobi and Samurai! Thank you all for your wonderful support, without you, none of this would have happened. Thank you all.